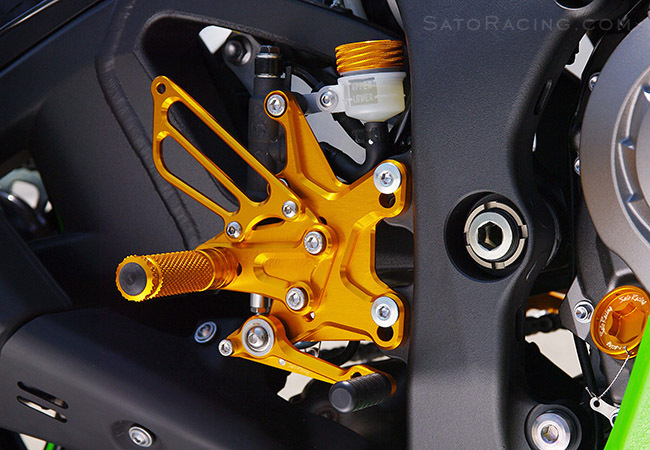 SATO RACING Rear Sets for 2011-15 ZX-10R are made from high grade billet aluminum with a choice of Black, Silver, or Gold anodized finish. 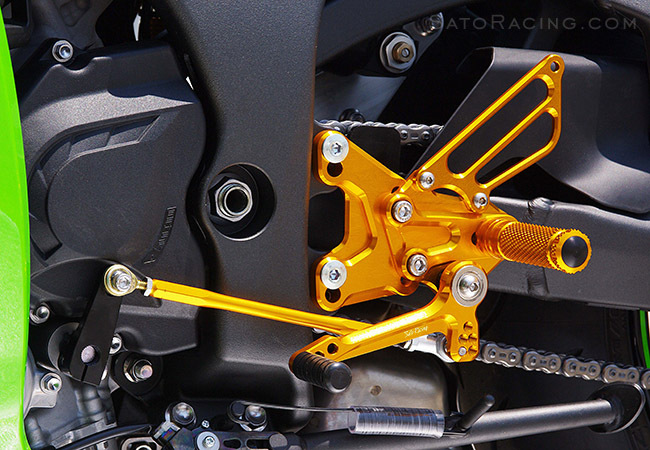 18 different positions are possible - The Base Plates, Step Plates and Foot Pegs each have adjustable positions. The positions provided range from near-stock peg height to more aggressive positions that bring your feet much higher up and further back compared to stock. 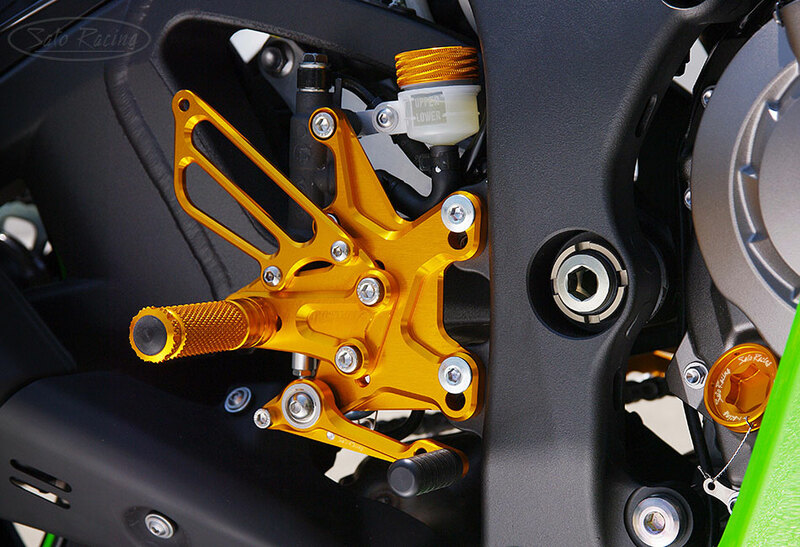 An optional Reverse Shift Kit lets you switch the Rear Sets from the stock shift pattern to reverse (GP-style) shift pattern. 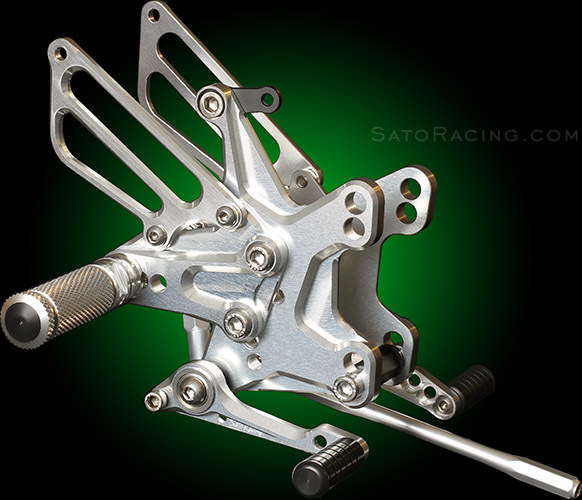 The shift and brake pedals use double stainless bearings for smooth, precise pedal movement with a solid feel. 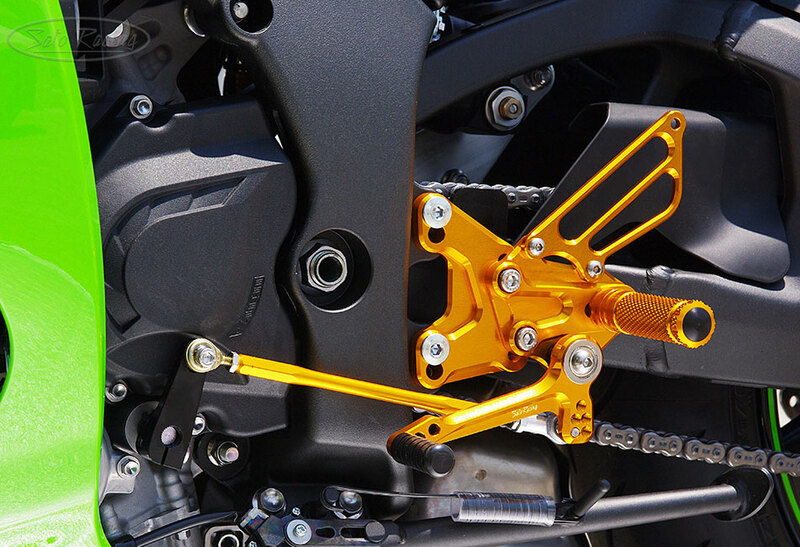 Deeply knurled footpegs are both comfortable and provide excellent grip. 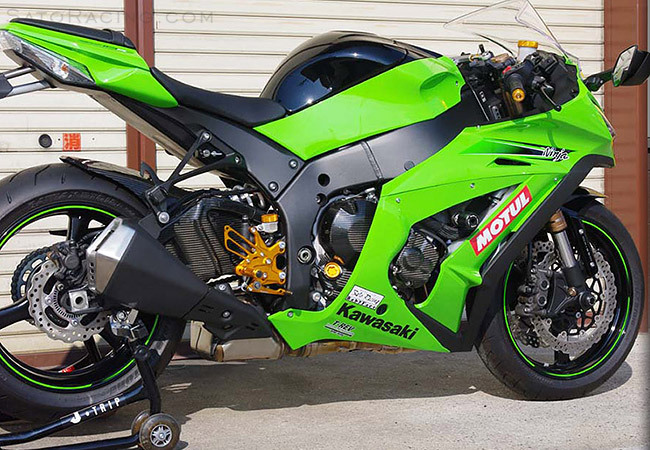 These Rear Sets are designed for use with the stock rear brake light pull switch, and are compatible with both ABS-equipped and non-ABS ZX-10R models. 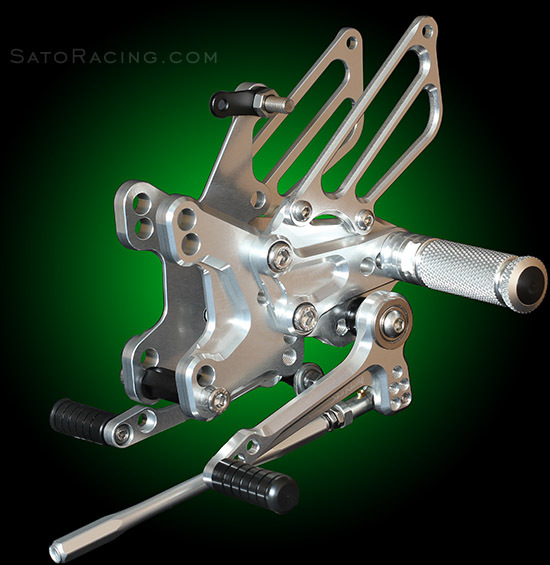 Rear Sets shown with optional Reverse Shift Kit. 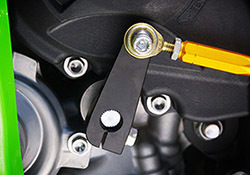 (For stock shift pattern, you can use the stock shift arm and rod end.) The modular design of our Rear Sets gives you a wide range of adjustability so you can find the ideal position for your riding style.